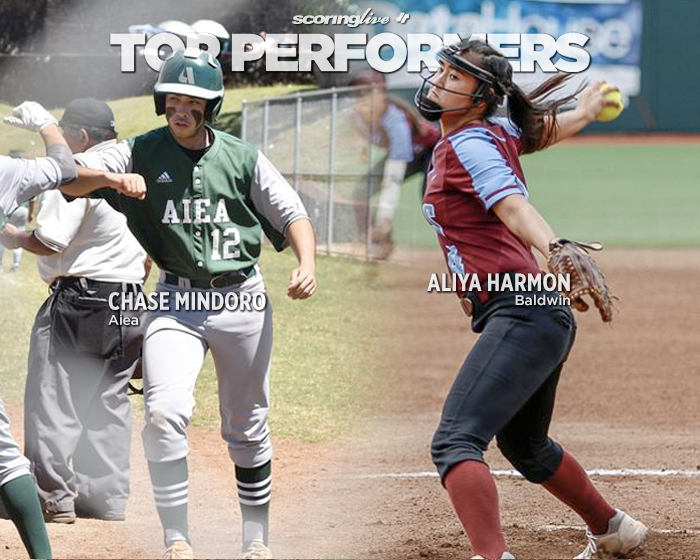 For Aiea senior Chase Mindoro, less is more when it comes to hitting. The 5-foot-11, 170-pound Mindoro has fully bought into what his coach, Ryan Kato, is selling and the payoff is starting to show. 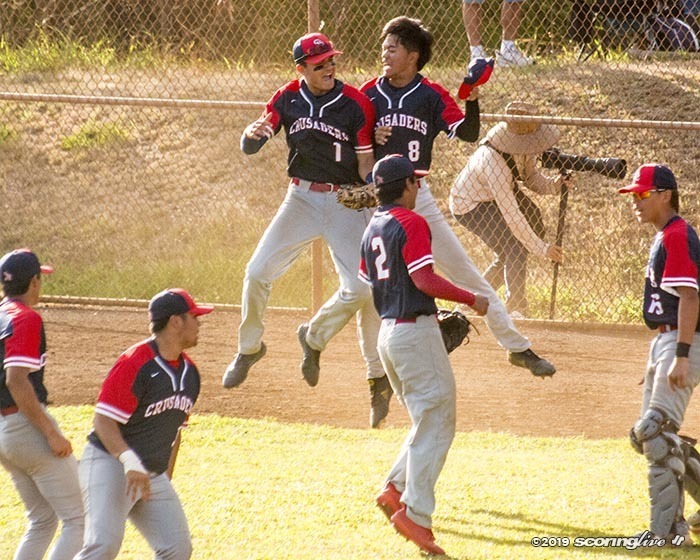 Mindoro led a Na Alii hit parade in a pivotal 8-3 win over then-eighth ranked Campbell Saturday by going 4 for 4 at the plate with three extra-base hits, including a pair of solo home runs. "He was outstanding," Kato said. "Like I said after the game Saturday, I don't think I've seen an offensive display like that in a long time." The third-year varsity player served as the designated batter Saturday and batted in the fifth spot in the order. Kato said Mindoro, who is expected to start in left field when healthy, injured his right (throwing) shoulder diving for a ball in the preseason. "That was about three weeks ago," Kato said. "He was out for about a week or so and then he slowly started coming back and he was able to swing at least. He was on a throwing program with the (athletic) trainer and just got cleared on Saturday, but we had already made the lineup. If we needed him on the field, we could have put him there." Turns out, Mindoro's bat did enough work that day. After Campbell took an early lead with a run in the top of the first, Mindoro tied it with one swing of the bat in the bottom of the second when he led off the half-inning with a home run to center field. He doubled in his next at-bat before leading off the bottom of the fifth with a first-pitch home run, also to center. "He was the right person for that display because he was able to buy in and understand what our approach was offensively and he was able to implement it in his at-bats and it clearly showed that he had a plan when he went up to bat and executed that plan," Kato said. "By the way, the plan wasn't to hit the ball over the fence; it was to hit a line drive and that's what I've been preaching to the team is ‘you don't try for those long balls, you try to make solid contact on a pitch you want to swing at and the rest will take care of itself,' and he was the perfect example of what we were trying to do." Mindoro reached base for a fourth time with a two-out single in the sixth inning. In Aiea's previous two games in league play this season, he was 0 for 3 with three walks. Following Saturday's contest, Mindoro is batting .571 on the year and leads the team in both hits and runs scored. "He always had the power, so for him — in fact for a lot of them — it's more or less hitting the ball solidly and the power will take care of itself, because they have that, they possess that ability, but when they try to hit with the power they end up popping up or hitting it into the ground, so it's a matter of focus," Kato said. "We talked about the mental approach and I could see him doing it, taking a deep breath before stepping into the box — I think one of his home runs came with two strikes — so it's a matter of him taking those pitches in the dirt or above his head and swinging at the ones he wants, which is a big improvement on what he did from the past." Kato added that for Mindoro, like most hitters, execution and confidence go hand in hand. "I think when he started limiting the pitches he would swing at, he gained confidence. I keep telling them that they can handle a small portion or half of the plate, but they can't handle the whole plate, so if they focus on a portion that they can handle then they can be successful and I think that's when he started to gain confidence and that's how confidence starts; be successful one time and then the next time you're expecting to hit the ball and not hoping to hit the ball," Kato said. Mindoro is one to put his best effort into every play and the play that he got hurt on in the preseason is no exception. "That's just his effort. He's a high-motor guy and he's gonna give me maximum effort wherever he's at and I think that was part of his downfall, was he was so aggressive at the plate that he would swing at anything as long as it was close," Kato said. "So he was able to tone it down a little bit and look for the right pitches and the thing is, he's a senior, but he's like two years beyond senior mentality, he's very mature for his age." Kato said Mindoro is always there to lend a hand on days off wherever help is needed. "He's very dependable. If he says he's gonna be somewhere at a certain time, he'll be there at that time. When I need help outside of practice on the field, he shows up and helps me dig holes and helps me put together the field, so I'm happy he had the game he did Saturday; he deserves it," Kato said. 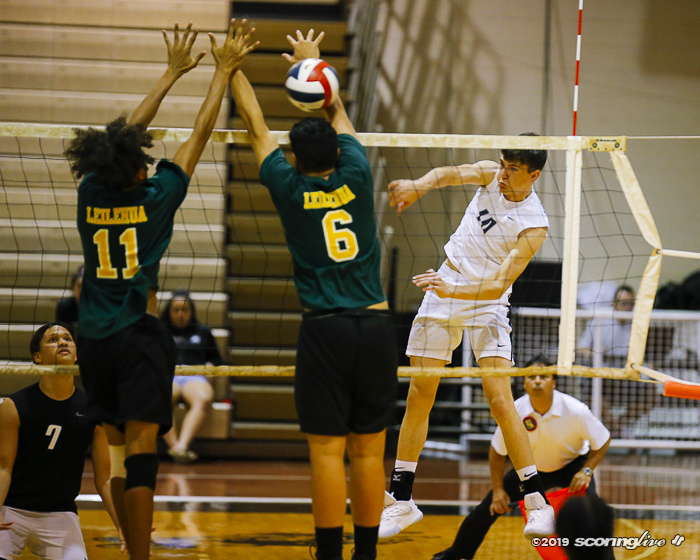 The win was the first of the season for Aiea, which now sits a game out of second place in the Oahu Interscholastic Association Division I West standings. "It was huge in a sense that it kept the players' belief in the process. You can only tell them, ‘hey, we're almost there, we're almost there' so many times, but without the results, it's tough, so this validates the fact that the process is working; it was huge for us," Kato said. 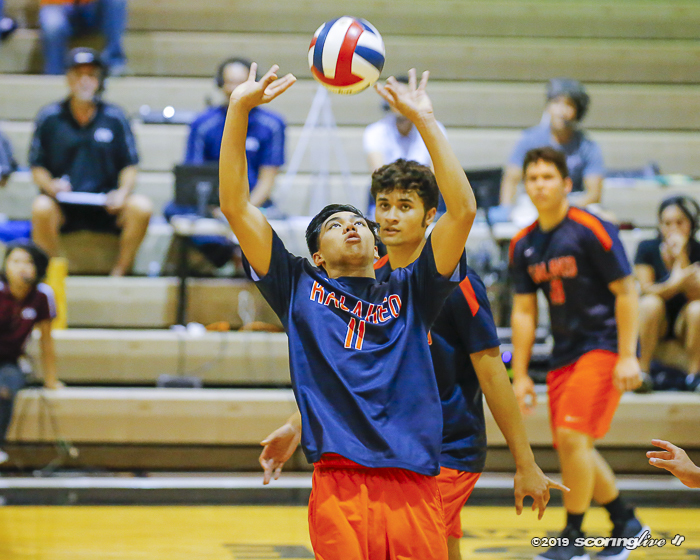 Mindoro and Na Alii (2-1) will try to make it back-to-back wins when they visit Waianae (1-2) Wednesday afternoon. 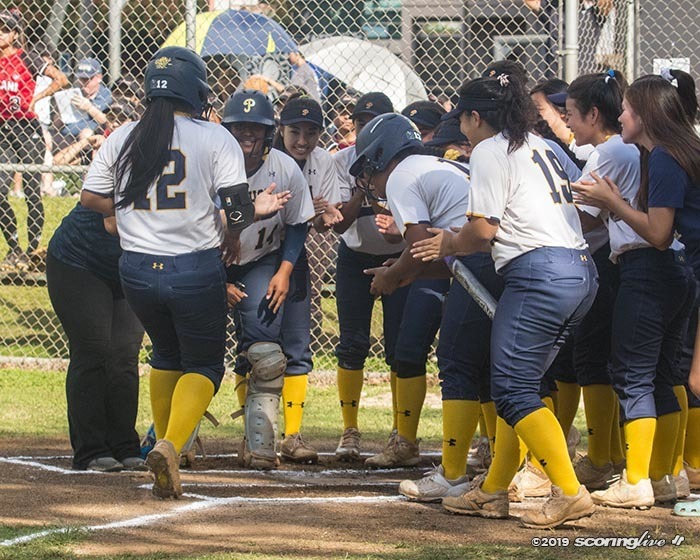 Baldwin pitcher Aliya Harmon had no idea until well after it was over that she had thrown a no-hitter in her team's 11-1 win over previously-unbeaten Lahainaluna Saturday afternoon. For that matter, neither did her coaches. "I don't think anybody knew until after when we had dinner with the coaches and some of the players," Bears fourth-year coach Sanoe Kekahuna said. "We were just talking about it and it was funny. No one knew." Harmon, a 5-foot-5 junior who bats right-handed and throws left, allowed just three Lunas to reach base Saturday. She hit two batters, walked one and struck out a season-high 11. The only run she surrendered was an unearned one. 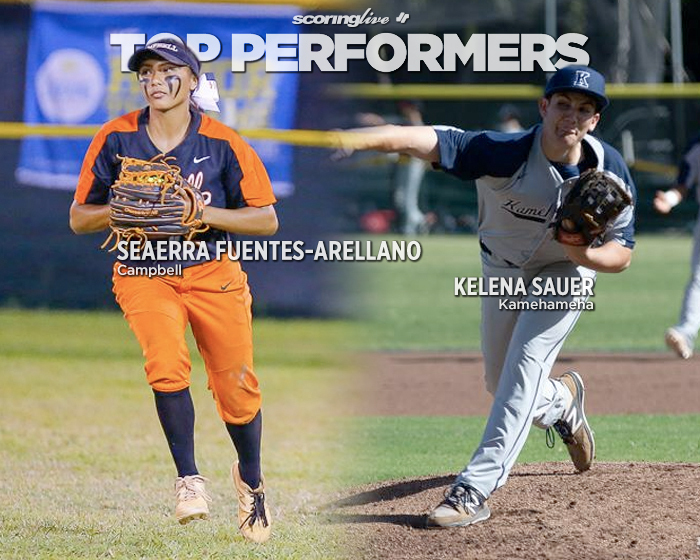 "I think she did exactly what we needed her to do, which is basically take care of every batter that comes up to bat, focus on the little aspects of the game itself per inning, which in return, helped us tremendously," Kekahuna said. After working a 1-2-3 first inning, including a pair of strikeouts, Harmon beaned the leadoff batter in the Lahainaluna half of the second. She fanned the next two batters and had an 0-2 count on Daisha Dagdag, but the base runner stole second and came all the way around to score on a error. Dagdag struck out looking on the next pitch. Harmon proceeded to retire the next seven Lahainaluna batters, five of them on strikeouts. She set the Lunas down in order in both the third and fourth innings before working out of some trouble in the fifth. Lily Kamaunu came back from down 0-2 in the count against Harmon to draw a one-out walk. Harmon hit the next batter, Dagdag, with a pitch to put two runners aboard for Lahainaluna. However, she escaped unscathed after fielding a ground ball and throwing to first for the second out and then striking out Alana Koa to strand both base runners and end the inning. The game was called with one out in the bottom of the fifth after Harmon hit an RBI-double to center field to score Alyssa Ferreira to induce the 10-run differential mercy rule. "Her composure of emotionally, physically and mentally staying in the game every pitch, every out, every inning, that's what really got me," Kekahuna said. "Baldwin and Lahainaluna are two great programs competing against each other and we always have history with each other, so there will always be that extra emotion in the game, but I believe that she didn't have any emotion that took over her, or any physical, mental or emotional issues that could have affected her." Kekahuna said that the biggest strides for Harmon, a third-year varsity player, have come between the ears. "She's more mature. Mentally, I think she has grown a lot. Her mental toughness has built over the offseason, which obviously helps us during the season, so I think that was the biggest aspect that she worked on that has helped us as far as team-wise, so I think it was a big thing for her," Kekahuna said. "Mechanically, I think we've focused on her when it comes to pitching the spins. I don't think speed-wise she's gotten faster. I think we've worked on the details of spinning the ball instead of trying to throw it harder. It's nothing different that we haven't done in the past. I just think she's more mature and she has an understanding of what's important now." When she's not pitching, Harmon plays second base or shortstop. She typically bats second in the lineup for the Bears. "But we will move her around depending on where we need her," Kekahuna noted. Harmon also had an RBI-single in the fourth inning of Saturday's game that stretched her team's lead to 4-1. In last Wednesday's 9-2 win over Kekaulike, she batted 2 for 3 with a pair of doubles, a sacrifice and a season-high five RBI. For the season, Harmon is batting .625 and leads the team hits (10), extra-base hits (5) and RBI (12). "I think as far as her hitting, this year compared to past years, she's been not so much confident, but it's going up in that box to have a game plan and other people might see it as confidence, but it's the understanding of what's important, having a game plan and a mindset of ‘I can do it because I did it before,' Kekahuna said. "Not being cocky, but being sure that she can." Another benefit for Harmon in the pitching circle is her familiarity with four-year starter Saree-Ann Kekahuna — Sanoe's youngest sister — behind the plate. However, the league season got off to an inauspicious start with a pair of two-run losses to Maui High and Lahainaluna. The Bears committed nine errors in defeat against the Lunas. 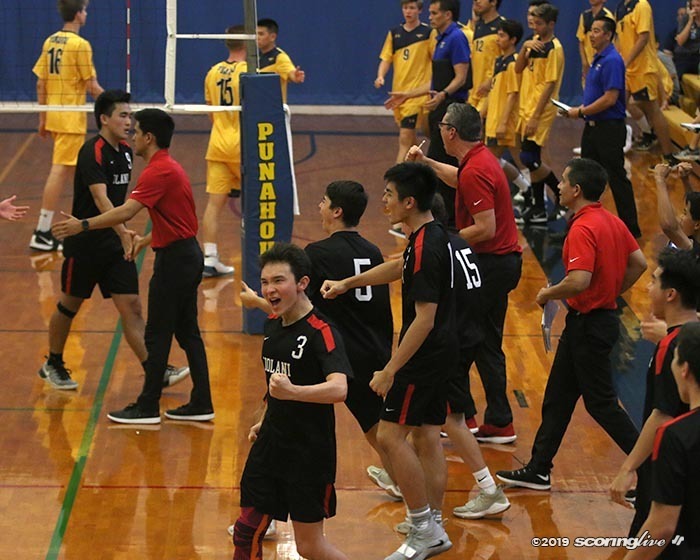 Since then, however, they have reeled off four consecutive wins and now sit in second place in the Maui Interscholastic League Division I standings, one game behind Lahainaluna. "Our first two games of the season didn't go as eel as we planned, but I think we learned from it. We've had that taste that none of the players like, that losing taste, and it's not so much that we lost the game, it's how we lost the game that left a bitter taste," Sanoe Kekahuna said. "We've come far. Every win is very big for us. Baldwin is coming off of a runner-up finish in the MIL last season and its first state tournament appearance since 2015. A return to Rainbow Wahine Softball Stadium in May is at the top of the list of goals for this year's squad. "Definitely," Kekahuna said. "We lost just two seniors last year and we've come back, I think, stronger mentally, not just physically, but I think emotionally. I try to tell my players to keep the emotions out of it, but they still know that part of it makes them the player they are today, so I guess just trying to control it, use it to their advantage and play the game they love. We've definitely planning to go back to states this year, but we're just taking it one game at a time and focusing on what's important: the little things that make the big picture look good." Harmon and the Bears (4-2) start off the second round of the MIL season Wednesday afternoon against Maui (1-3). First pitch is scheduled for 4 p.m. at Patsy T. Mink Field in Kahului.